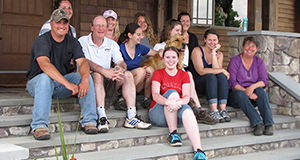 The Tufts Shelter Medicine Program offered a week long course in April 2016 on Cummings School of Veterinary Medicine at Tufts University’s campus covering Emergency Response and Disaster Medicine. Instructors included representatives from the International Fund for Animal Welfare (IFAW), the State of Massachusetts Animal Response Team (SMART), Massachusetts Society for the Prevention of Cruelty to Animals (MSPCA), Massachusetts Veterinary Medical Association (MVMA) and Cummings School faculty. The course featured an introduction to the incident command system and links to complete ICS training on line. Other topics covered were animal sheltering in disasters, large animal rescue and emergency medicine in disasters as well as recent man-made and natural disasters such as the Midwest flooding and a variety of cruelty response cases. The course concluded with a table top drill. Registrants who attended the entire course and completed the online component gained the credentials necessary to respond to an actual disaster once signed up with SMART or another responding agency. 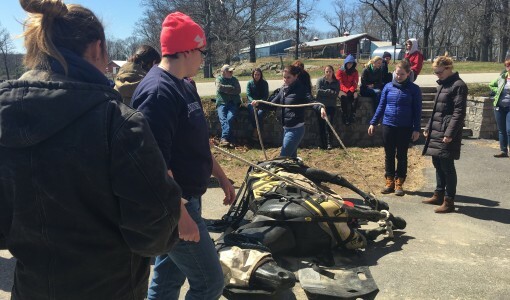 Rescue equipment and the horse mannequin, "Lucky"